The Epiphone CE Coupe (Nylon String) is an updated version of the legendary “solid body” classical guitar in a reduced body size for easy travel. The CE Coupe features a chambered body for true classical acoustic tone when plugged in thanks to the revolutionary Shadow® Panoramic SH-148-HD pickup system allowing for separate panning and EQ settings for the top three strings and the lower three strings. The preamp also includes both an Aux input (for an MP3 player) and a headphone output. No feedback when plugged in! The CE Coupe features a Select Spruce top in a Gloss Natural or Gloss Ebony finish and 6-layer Pure White & Black binding on the body top and as well as the Sloped Dovewing Slotted Classical-Style headstock. The Mahogany body is chambered allowing for a true acoustic tone when plugged in without the worry of feedback like most acoustic/electric guitars. The Solid Mahogany neck has a 1960's SlimTaper™ D-Profile and is glued to the body with a dovetail joint. 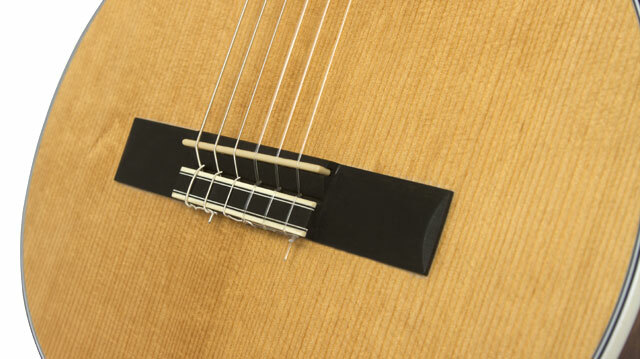 The 1.81” width Graphtech® nut width is slightly smaller than a full size Classic (CES) styled guitar. The Ebony fingerboard has a 14” radius with 19 medium frets and a single layer of white binding. The truss rod is adjustable at the sound hole. 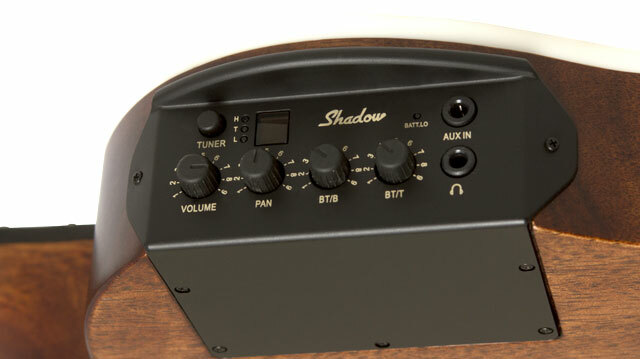 The nylon string CE Coupe is powered by the revolutionary new Shadow® Panoramic SH-148-HD pickup system with a panoramic function that allows a player to separately EQ and pan the top 3 string and bottom 3 strings. Controls include a Master Volume, an EQ setting for the bass strings (E,A,D), treble strings (G,B,E), and a “Phase” switch. The onboard control panel also includes a Chromatic Tuner with a 7-Segment Display plus a Low-Battery Indicator, Headphone out, and an Aux In. 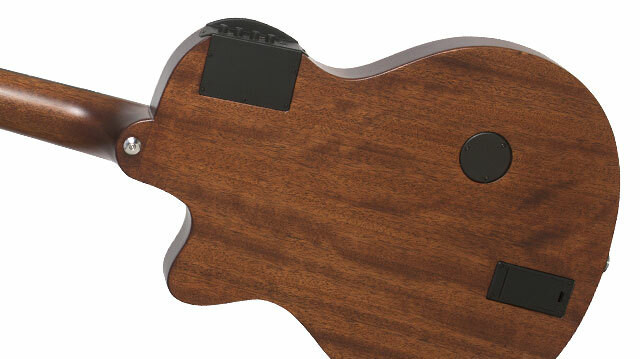 The Shadow® PanaFlex™ HD pickup is placed under the Bone saddle and Ebony bridge. The battery (AAA x 2) compartment is located next to the standard ¼” output jack. The CE Coupe is easy to keep in tune with gold Epiphone Premium Classical machine heads with a 16:1 tuning ratio. Visit your Authorized Epiphone Dealer for a gig bag or hard case (sold separately). Like all Epiphones, the new CE Coupe Nylon String comes with a Limited Lifetime Warranty and Gibson’s 24/7/365 Customer Service. Visit your Authorized Epiphone Dealer today and plug in to the CE Coupe!